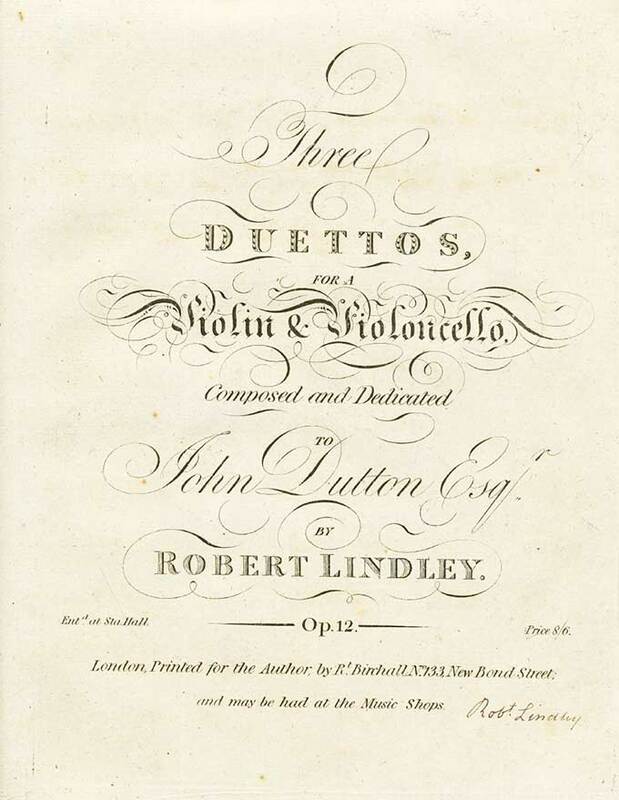 Robert Lindley (1777-1855) was England’s outstanding cellist in his time. He performed with the great bassist Dragonetti and published an early cello tutor. The Duetts of Op. 12 were first published in 1802. The first movement of No. 1 in F Minor is in sonata form, the brief slow movement is in the relative major with an interesting excursion into B major. The Finale is a Rondo marked Presto. The first movement of No. 2 in A Minor is in a modified sonata form, the brief slow movement is marked Adagio Affettuoso and the Finale is a Rondo marked Presto. The first movement of No. 3 is in a modified sonata form with interesting modulations (f#, A, d, Eb, G, D, A, f#), the brief slow movement is marked Adagio con Espressione and the Finale is a Rondo marked Presto.